2015 gone like wind... that what i love to say. It's been up and down year for me. Tapi mcm every year pun begitu. But few events happened that truly makes 2015 an unforgettable year. I don't know why i am so eager for 2016, mcm bersemangat btul mo buat apa yang mo buat, tpi tidak tercapai. Maybe 2016 will become a more challenging year that 2015. Maybe sa akan berhadapan dengan lebih berat dugaan, cabaran. Not sure how or what the challenge is, but i think i still used the COURAGE to overcome it. Just like 2015. I was supposed to go for our yearly company Camp, to be held at one of the hotel/resort in Kundasang, when Sabah was rocks by the devastating eartquake early morning of June 5th 2015. It was a 5.9 or 6.0 magnitude, depending on where you heard/read the news. At the time the earthquake happened, i was taking my shower when i felt the ground move. I was at my home in Penampang when the quake happened. Checking on my phone, more and more message coming in informing that an earthquake just occured, didnt know the full stories i drove to our the office to prepare for my journey to Kundasang. Most office in Kota Kinabalu decided not to continue operating, fears for aftershocks that might crack the building. The Earthquake kills a lot of people, all of them at Mount Kinabalu, where the epicenter of the quake located. This issue sa rasa smua urang cakap, di mana saja. Especially on April 2015, where the goverment introduce the GST. Sana sini urang bising, but then they "HAVE TO"/"TERPAKSA" tahan as wheter we like it or not we have to buy the things yang kena GST. The Ringgit performance against the US Dollar make things worst. Kalau dulu RM50 buli beli banyak barang, nowadays, one or two things saja can be bought. Some orang besar cakap, tidak akan affect sebab jumlah dia kecil... Ko sanang cakap sebab gaji ko basar, and most of the things u consumed is subsidised or paling tidak pun ko claim... What about the poor? the unfortunate one? have you think about them? oh... tu Bantuan Rakyat buli tulung... as i said, RM50 only can buy few things... hehehe. Minyak kereta, naik turun, kalau naik sa bising la... kalau turun ok la... tapi problem dia some trader cited the increase of fuel price give them no choice but to raised the goods price... tp tidak pula kasi turun when the fuel price went down... hmmm... Makes be thinks... When all the goods price went up, do the salary when up on par with the current cost of living? I'm entering my 8th Year of employment at my current office. This was the longest i've been in any company. Although its only 8th years i am proud for what i had achieved. I might not be as important as other staff but i will just do my jobs, complete it and contribute where i can... I know i can i just have to believe it. My Names are Patricia Chandler, I am a 46 years Young Widow, and I am from Delaware County Moved to Paris- France in January 2014 after suffering from cancer of the Cervices and I am undergoing surgery in 2weeks time. I won my Power ball Jackpot of $131.5 Million in June 22, 2013, I purchased the winning ticket from Federal Beer at 1440 Federal Street last year 2013 in Pennsylvania. My jackpot was a gift from God to me and my entire family has agreed to do the will of God. I may not know you, but I believe if you were chosen by God to receive my cash grant donation of $2,000,000 USD. You must be a God fearing individual, I am a catholic and i believe that Good things happens to those people who wait and also believe. I do not want to ask you for your ID as we do not want to leave an impression in your mind that we want to steal your identity). I do hope that you will be able to use the money wisely and judiciously over there in your country. we will employ you to do what you can to alleviate the level of poverty in your region and also try to enhance the standard of living of as many people as you can because that is the only objective of donating this money to you in the first place. In a Season where Man. Utd won the EPL by major points, United fans all over the world were shocked to hear that Sir Alex Ferguson announced his retirement from managing Man. Utd on 8th May 2013. I was shocked. Sia tidak sangka Sir Alex will announce his retirements. I thought he will be immortal, he will managed Man. Utd forever. I thought he will 'never' retired. For me He is Man. Utd! But when i learned that Sir Alex said he had made the decisions since Dec 2012 i had to admit that he had done his best to to get where Man. Utd are now, he in fact succeeded. I will have to get use to not seeing Sir Alex Ferguson in the stands at Old Trafford or any Stadium in the world.I will miss SAF chewing his bubble gum from start whistle till the end, his face turns red when he is piss-off with the performance of his team, the commentator saying about the 'hairdryer' treatment if the team were behind, keep looking at his watch when the game is at injury time (especially when his team had a slim lead) and the way he argue with the fourth official. I will miss that! Well, SAF will remain at the club as a directors and ambassador. I know he will not ends there. I will hear news about him... i just knew it. For this i would like to say Thank You Sir Alex! I am proud to support Manchester United because of you! So Welcome To Manchester David Moyes, The New Manager of Manchester United!!! Might be late, but this is me. hehehe. being busy with everything. Hahahaha. So just want to wish Happy Chinese New Year to all the reader of this blog. This year is the year of the Snake. As for me, i was born in 1980 and bear the sign of Monkey, Steel Monkey to be exact. So what's in store for me in the year of the Snakes? Most i read says that i will have a stable year with its ups and downs. Financially, it will be good, but i doubt that because i will be using almost all my savings on my big days. Maybe after that. hehehe. Works/career wise, they might be a promotion, but looking at how things go at the moment, i don't think it will be this year, but i am confidence of a promotion. Maybe i just need to avoid conflicts with people near me, but not doing things such as "angkat kaki". Nearing the big day, the zodiac says that i might not have a stable relationship... hmmm. All i read saying that Steel Monkey will be a bit lonely this year. Don't know what that means... But my overall health is good, only need to 'drive carefully' which i will and always do while on the road. All the above I'll used it as a guidelines on how i will face the year. Never before i 100% adhere to all the advice of my Chinese Zodiac. Merely a guidelines. Try to improve where is my weakness is no 1 priority, the rest, if achieved is a bonus for me. So, once again i would like to wish a Prosperous Chinese New Year To All readers of KaDuSViLLe. Well, this year would be the last year i can received angpows as a bachelor. Starting next year, wont be eligible anymore. So sepa2 yang rasa mo hulur angpow sama sia, selagi Chap Goh Mei blum sampai, masi buli lah tu... hahahaha... Gong Xi Fa Chai!!!! Enjoy, A song by Indonesian Cakra Khan. looking at his name, people might says that he is from India or Pakistan, but he is Indonesian. Not sure if he is related to any Indian's Khan or he is an Indians descendants. According to Indonesian Wikipedia he was born in Pangandaran, Indonesia on 27 Feb 1992. Harus Terpisah is his first ever single. Enjoy the lyrics and the music video from You Tube. I DO NOT OWN the music video or the lyrics. Both this is owned by the respective owner, be it the singer or the music producer and video producer. This is just me, sharing, letting people know about this song. Well i love this song. It's not just because the lyrics, but i love this song mainly because of the melody. Well enjoy! A great video by Nadira Ilana regarding the 1986 Riot. It give the details on how the riot happened, what caused it and who was behind it. This video maybe has given a clue of how some of the illegal immigrant entered Sabah. This was the darkest day of Sabah after independent. I was 6 years old that time, and was in Kindergarten school at St. Francis Convent, Kindergarten. According to my mother, because of this event, my grandmother was very scared and have ask my mum, not to send me to KK school anymore, because she feared things like this could happen again. As a result, i further my primary education at Penampang until i completed my secondary education. This will remain part of Sabah history. Please share to all Sabahan. Since 2011, byk sudah kana cakap pasal ni. 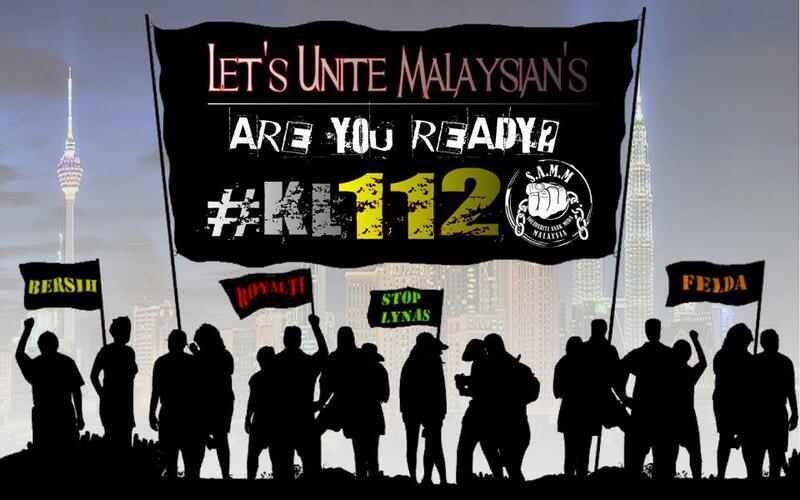 GE13 or PRU13. Everybody was talking about this, be it at the coffee shop, offices, home, and almost everywhere. Sekarang lagi la. Di mana2 saja jumpa pasti akan cakap pasal nie. Most story sia dangar, misti pasal politik, misti pasal pilihanraya. Dia nda kira kaum, agama, umur (yg qualified mengundila) smua pun membicarakan bila tarikh PRU 13. Kalau nda silap, last PRU was held on March 2008. Kalau ikut perlembagaan Malaysia, 1 Term is equivalent to 5 years. Kalau ikut lagi, bulan 3 ni genapla 5 Tahun the current govt bearing office. As far as i know, the parliament akan terbubar secara otomatik apabila itu term sudah habis. So mo tidak mo, the GENERAL ELECTION WILL BE HELD tahun ini juga, 2013. As said before, since 2011, ramai sudah yang bercerita pasal ni election. Sia tinguk smua parti politik pun all geared up. Derang ready since 2011 lai, since drg jangka yg the election will be held on 2012. Tapi nda juga. Dunno why nda jadi. Maybe ada beberapa isu yg menyebabkan election nda jadi time tu. 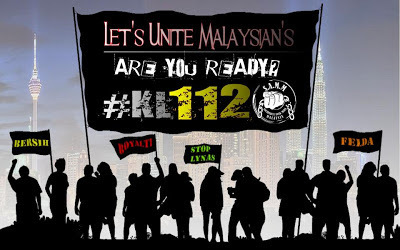 Sepanjang 2012, there a lot of events unfold and some of it might be the 'key' to Malaysia next General Election. What it is, i guess everybody would have knew about it, so no need for me to say more. Normal question is being asked by friends around Sabah. "Who will you vote?" Well i cant say at the moment. If the last election i am FIRM with my votes, this time around i am more a fence-sitter. As said before, a lot of events unfold in 2012 with some of it will be the keys for this coming GE. So to answer the question of who will i vote, i will have to say "tunggu dan lihat". I'm taking that approach so that i can evaluate ALL parties move before i made the next move. Some might say that mine is only one vote, and would not make much different in the voting process. My answer is simple. Although i am not as important as many out there, my one vote will be very crucial for all party. My one vote will become a key vote, if there is a draw, tapi mungkin nda la.. Hehehe. But i still say my votes is important as other's. On Thursday, my friend inform me about a news from the mainstream TV. Since nowadays, i rarely watch news at mainstream TV (because of too much politics) i don't know about the news. It was inform that all the new MyVi will have to go for a 'special' service to replace a problematic EPS (Electronic Power Steering). Rawang, 16 Jan: Perodua is initiating a Preventive Measure Campaign call for its 74,000 New Myvi variants produced between March 2011 and March 2012 to replace the Electronic Power Steering (EPS) column of the model. The exercise is to ensure that owners of the New Myvi enjoy optimum performance of their vehicle. “We apologise for the inconvenience caused to our customers but this campaign is necessary as the car’s performance may not be at its best and could partially compromise the driver’s response time at low speeds,” Perodua Managing Director, Datuk Aminar Rashid Salleh said. He said that based on studies conducted by Perodua, the problem could be detected when the EPS indicator is alight, after which, the driver could feel a slight heaviness at speeds of between 30km/h and 40km/h. This can be temporarily fixed by switching off the engine and restarting the car. “However, for a permanent fix and to eliminate any possibility of risk to our customers, we kindly request that an appointment to be made at any of our 170 service centres nationwide for the replacement of the EPS column,” He added. The car company has already issued notification letters to the affected customers. Aminar said that after making an appointment at the most convenient service centre, a customer will be given a briefing on the replacement of the EPS column. The exercise will take approximately 80 minutes. “Perodua will absorb all costs for the replacement of the EPS column; in addition, priority will be given to those affected because here at Perodua, You Matter Most,” he said. “The campaign time frame is open ended; that being said we encourage our customers to make their appointments as soon as it is convenient for them to ensure that the replacement can be done orderly and smoothly,” Aminar said. As a one of the many user of the new MyVi, initially i did not notice any problem until one day last year i was driving i notice sounds coming from the steering every time i make a turns. Sometime i also notice my steering became a bit lighter on turn. When i saw this press release by Perodua, i did not see any mention of what the variant of the new MyVi. It could be The New Myvi, Elegence, SE or Extreme (1.5). I dont know whether this problem is connected with the recent press release. Paling bahaya kalau driving jauh, palis palis lah, mo juga check ni kalau sia pun involve. Now, 3:12pm, i know at Stadium Merdeka, almost 100k people of all ages, race and religion gather for the Himpunan Kebangkitan Rakyat HKR. I really hope that they will be no problem to my fellow Malaysian. They are voicing what they felt, and the sincerity shows. They just want a 'clean' Malaysia. Be safe fellow Malaysian. My prayers goes to all of you out there! Sekarang, 3:18pm, sia rasa di Stadium Merdeka, mo dakat 100k (mungkin lebih sudah) orang dari berbagai agama, bangsa dan umur bekumpur untuk menyertai Himpunan Kebangkitan Rakyat (HKR). Sia harap ndada apa2 yg serius berlaku, sebab sia tau ini ialah perhimpunan aman. Rakyat mau menyuarakan permintaan derang. Derang mo kasi tau apa yang derang rasa sama kerajaan. Derang mau Malaysia menjadi negara yg 'bersih'! Sia harap rakyat Malaysia selamat disana. Doa dari sia menemani kamu semua! Di KK pun ada, cuma mo closing account di opis, jadi sia nda dapat join. This will continue sampai satu minggu. Hehehe. All The best!! !